Harney & Sons is much more than just an industry leader — they are a company that emphasizes the tradition and culture surrounding tea. This company came to Union Square Design in search of a new website that would better reflect who they are, and get people interested in the many high-quality teas that they offer. The previous site lacked the framework needed for a sophisticated interface, and was ultimately not designed well enough to appeal to their main demographic. 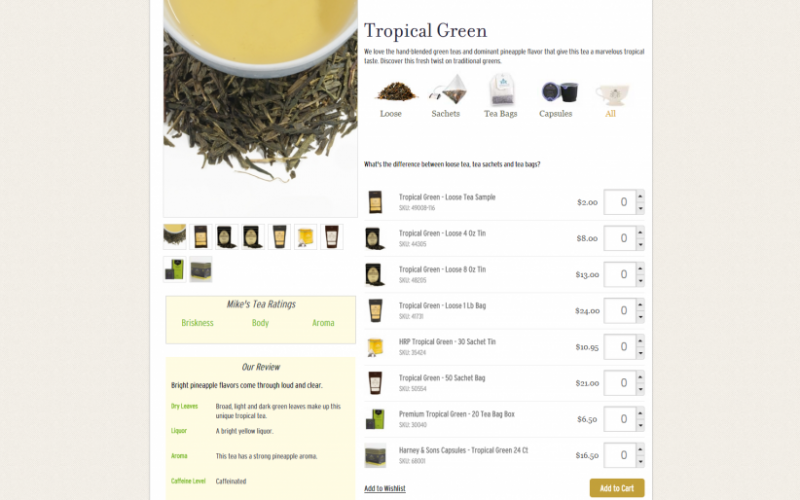 We realized that the key to improving the site was first and foremost crafting one that was more dynamic, and second, making information on their tea varieties accessible to their highly-knowledgeable customers. Harney & Sons was started in a basement in 1983; yet they quickly mastered their own blends and unique gourmet teas. The tea company is based in New York state and has a popular cafe location in downtown Manhattan. Harney & Sons is actually family owned and operated, so the “Sons” part isn’t just some folksy gimmick – it’s who Harney & Sons truly are. 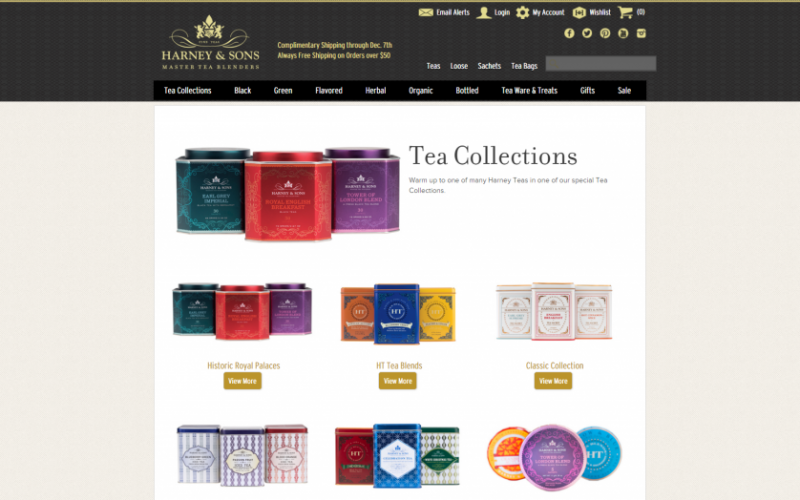 USD brought the great experiences that people have with Harney & Sons teas to their website. Moving to the platform Magento was a big step in making a more efficient site with greater capabilities. Furthermore, individualized pages were created for all of the tea varieties that satisfy questions customers may have regarding the differences between the blends. 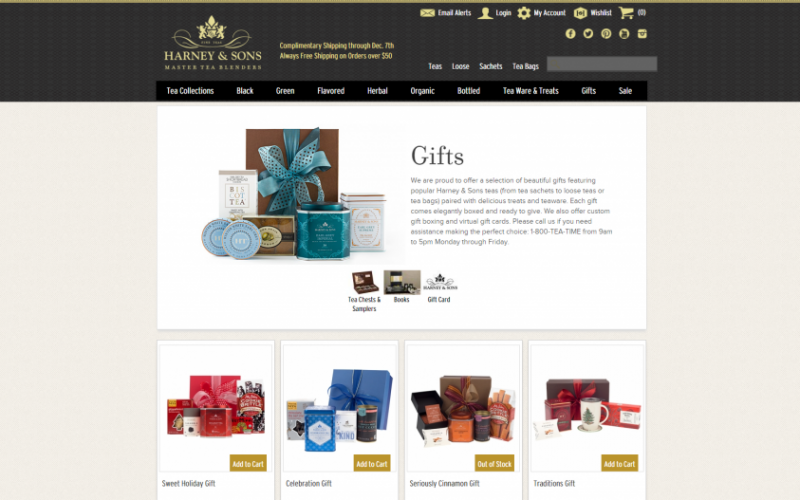 Finally, new features were put in place to make Harney & Sons appear higher on online search lists. 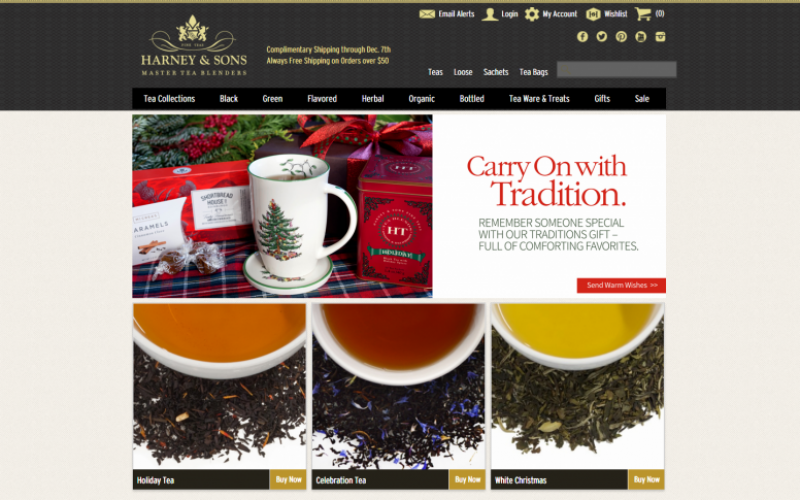 Thanks to all of these changes, Harney & Sons moved from the fifth page to the first page for “tea” keyword searches.